"Of purifers I am the wind, of the wielders of weapons I am Rama, of fishes I am the shark, and of flowing rivers I am the Ganga"
"Food from the devotee of the Supreme Personality of Godhead, Ganga water, the mind engaged in the Lotus Feet of Lord Vishnu and the day of Lord Hari, named Ekadasi, these are all pure and thus holy." to her with every kind of happiness." "One may, by putting forth one's best powers, count the stones that occur in the mountains of Meru or measure the waters that occur in the ocean, but one cannot count all the merits which belong to the waters of Ganga." but up in the himalaya she seems be in the full glory and looks pristinely beautiful! And thanks for visit and reading my post,ur words meant a lot to me. ओह!आरती,मुझे आपकी आरती उतारने का मन कर रहा है. Because,Ganga is floating in your pious heart. Beautiful pictures with great sayings all are great and superb. Wow , lovely post . Thanks for the holy darshan of the Mother . 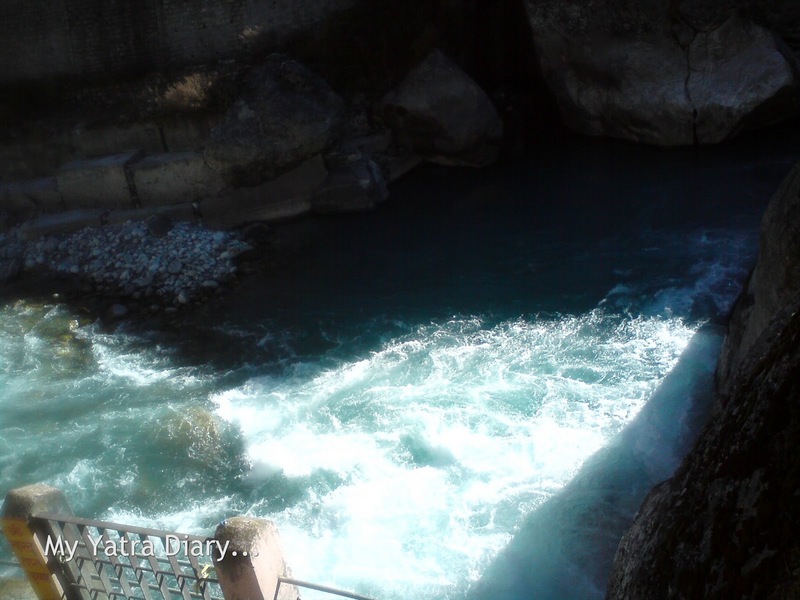 Ganga as it cascades from Gaumukh all the way to Rishikesh is just mesmerizing! 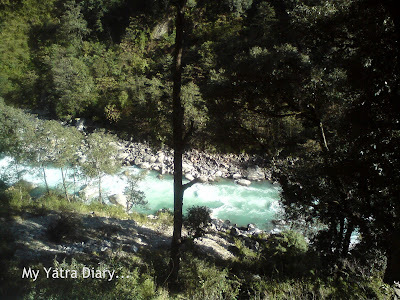 Lovely capture of the holy river..
Lovely,lovely pictures of Ganga. Thanks for the share, Arti. The last picture and the quote of McBride are stunning! Loving all your photographs but especially the one of the River Ganga which is second from last, truly beautiful, the reflection on the water is so tranquil. 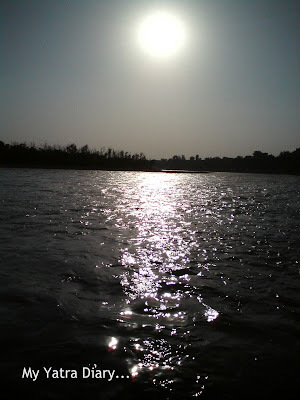 Wow.. breath taking pics of Ganga.. what do you work on? Every week i see that you are travelling :) lucky you.. and lucky me who can see all these through your blog..
What a gorgeous river it is! And your photos are superb, Arti! Thanks too for the information and such beautiful thoughts and words! Such a lovely way to begin my day! Many blessings to you! Enjoy! I love the pictures best where you have captured the sun sparkling on the water! Also the last two pictures, spectacular! Gorgeous pictures of the light on the water. Ganga, is a place where i can learn how to give, give and give without hesitation, without expectation, and without discrimination. Ganga is our all mother, althought we make it dirty , ruin it with all the greed but she never going to stop giving her love. We all love you Ma Ganga..
lovely photos and lovely quotes too!!! makes me want to go there again! Great photos, I could almost get lost in them! 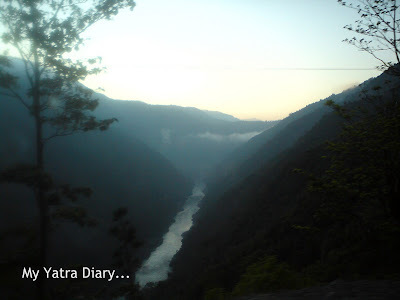 The pics of 'Holy River Ganga' should attract a lot of readers to your esteemed blog. I can definitely feel the holiness of Mother Ganga in these pics. Nicely captured and hats off to your wonderful post!!! In India, Ganga is next to god. I was fortunate enough to visit Haridwar in 2009. The evening Aarti strengthens your faith in the holy Ganga. I wish Ganga should ever stay the way it is. 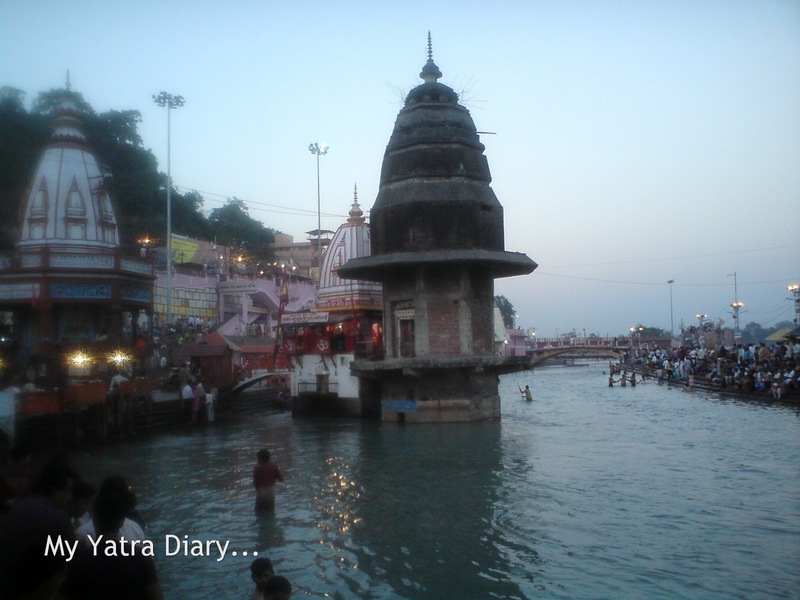 The Ganges always induces a sense of respect in any Indian, that's her charm.Wonderful post! These are lovely pictures and I like all the rocks. Thanks for the information. Beautiful shots as always. I learned that mountains connects to death and birth. I'm not sure that this is correct but these photos remind me of it. Love the sun sparkling on the waters, Arti. Thank you so much for sharing the lovely sayings as well. Have a blessed day! Heavenly pictures of the river Ganga flowing through the Himalayas. Just gazing at these exceptionally beautiful pictures is energizing & elevating. Thanks for the eloquent tour. Another beautiful post, Arti. I wish to visit the Himalayas some day. Loved each and every pic. beautiful clicks. I wonder what the difference is between GANGA and GANGES? Are they 2 different rivers located in different areas of the country? Why are the names so similar? Love your photos, Arti! Keep them coming! A beautiful post Arti. The pictures complement the wonderful quotes perfectly. I think I can sort of understand how you (and so many others) can be spiritually connected to this great river. We get excited when we see any of our country's great rivers (or even their smaller tributaries) -- we understand that they are truly the life force of the land! Her colors in the 4th and 5th photos are truly beautiful. I feel cleansed and purified simply looking at them. I'm happy that you've shared these photos of the source, where the waters are most clean and frothy. thanks for sharing Arti. and happy day to you. I have never seen the ganga as I have only visited vrindavan in the north and seen the yamuna, you lovely quotes on the ganga with the mesmerizing pictures tugs my heart to visit the holy river. My husband was telling me he could plan a trip to delhi next year and also get to visit rishikesh and haridwar. My MIL also wants me to visit all the holy places as in old age we will not be in good condition to enjoy this beauty. i love the shot with the moonlight but they are all beautiful. @gigihawaii There is no difference. Both are just different ways to address one and the same river - River Ganga - flowing through various parts of the country. 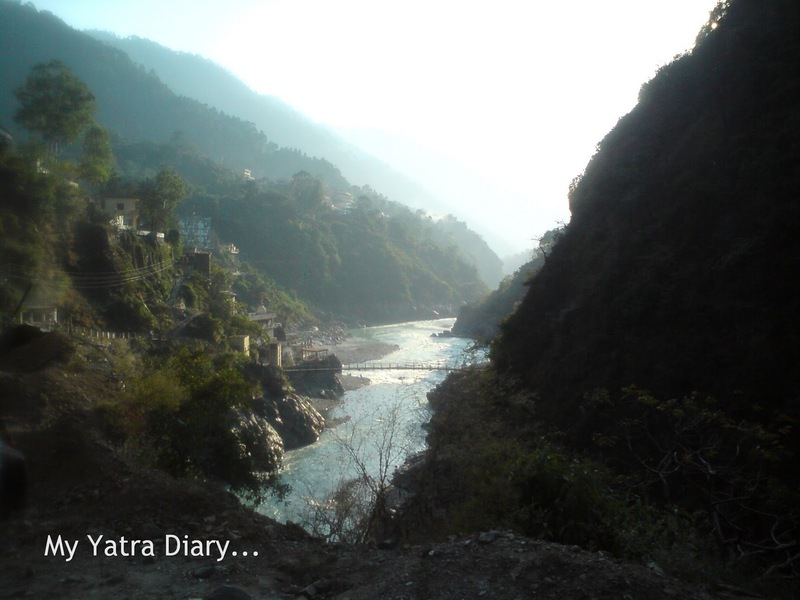 In the Hindu scriptures, the river is referred to as Ganga.. I am not too sure how and where exactly the word Ganges has come into usage but they both point to the same holy river. Awesome post as always .Arti i just forwarded a link of your blog to my dear friend Susan who is an episcopal priest from Little Rock USA.She is looking for a spiritual destination somewhere near Delhi and i suggested her to look into your blog for destination like Haridwar and Rishikesh. Once again a big congratulations for maintaing such a beautiful blog. wow! wonderful pictures... most of the pictures have the sunshine reflecting and it adds to the beauty of the river... the river is just wonderful!!! 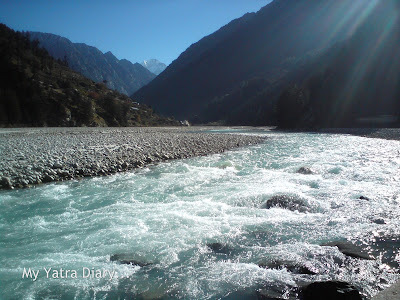 River Ganga is such a massive, , mysterious, beautiful, and soothing river. I love to see foamy bubbles shimmering or sparkling in the sun. 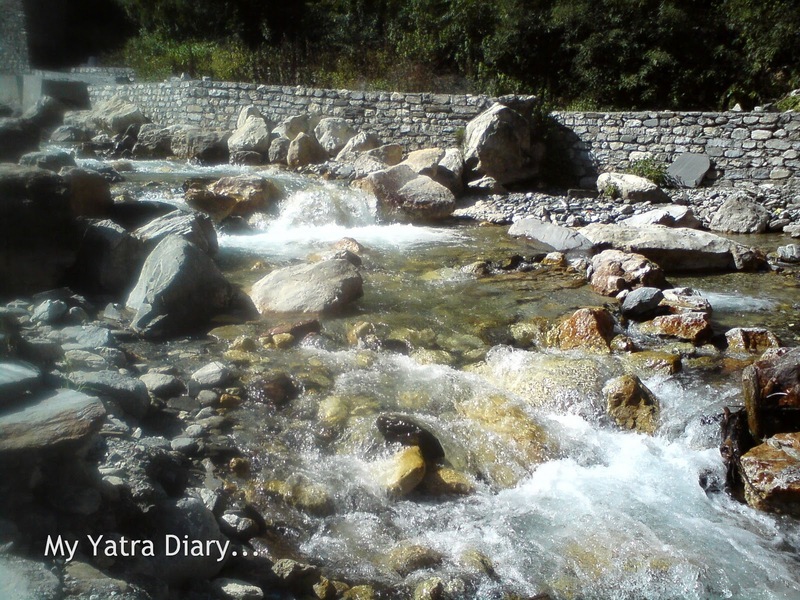 You had such a wonderful company, Arti, travelling through Himarayas , looking at her flowing and listening to her whispers. Have a happy and restful weekend. "Holding,touching,bathing,pronouncing Ganga" or "merits which belong the water of Ganga" or" man's sin get destroyed by Ganga" and so on. I can feel Ganga is a holy river and it exists people at hand. I wish you have a happy christmas. I have seen Ganga many a times, as it passes it changes in physicality. 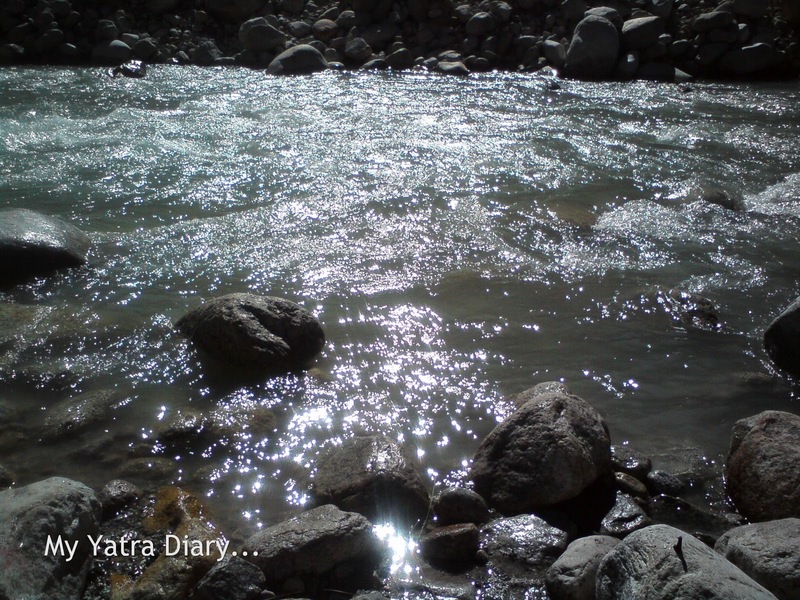 I have seen it nearest at Hrishikesh it looks divine there though I know further before from where most of your pics are the water there is crystal clear and Icy cold. Lovely pictures, my friend. Any of Gaumukh? So gorgeous photos of Ganga river. I always feel a powerful life from your photos.The flow,splash and various shaped rocks are great creations in Himalayas! I was off-line for a while. Have a great week and Merry Christmas,Arti. 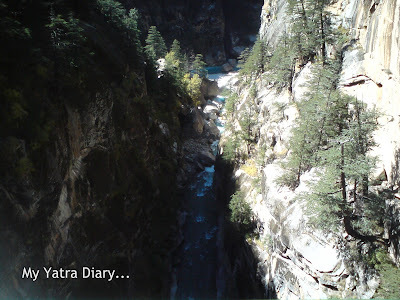 One of my wishes is to visit the Ganga, but i've accepted that I will visit Her in the right place in the right time. So many Masters have been inspired by Her, it must be magical. hey i have a doubt - ive always heard that the ganga is allllways crowded/polluted bt ur pics - the place soo blissfully serene and not a single soul anywhere!!! how come? Oh you so made me smile with this post. You picked up so many nuances in the scenes that I also often see. The sparkles in the water. The framing of the valley. The suns rays casting their streams of light. But the river is where the beauty lies for one to search out it secrets. Wonderful post. By the way I prefer the pop-up post as my connection is a bit slower so when it is embed in the blog the whole page has to load again to post it. Thanks for making it easier for me. @Arti: Can I add the following information? The name Ganga is the original name as per Hindu Scriptures. During British Rule in India which lasted for few hundred years the name was changed to Ganges for ease of pronunciation. Likewise Mumbai became Bombay, Dilli became Delhi,Kolkata became Calcutta & so on. Like wise the name India was coined by the British to mean the land through which the river Indus flowed. 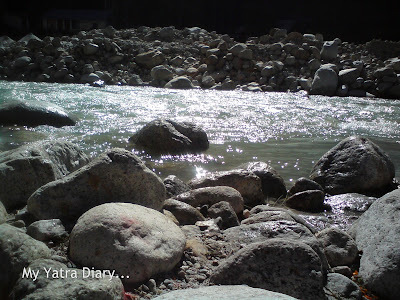 Arti, each of your post captures the true visual beauty and amazing write up! Beautiful pictures and beautiful words. Glad I dropped by from BPOTW. Mother Ganges...माँ गंगे से साक्षात्कार कराने का धन्यवाद, आप धन्य हो माई! may maa ganga bless all of us with her coolness her patience her purity and her energy.she is mother of all of us and bestows her blessings continuously.